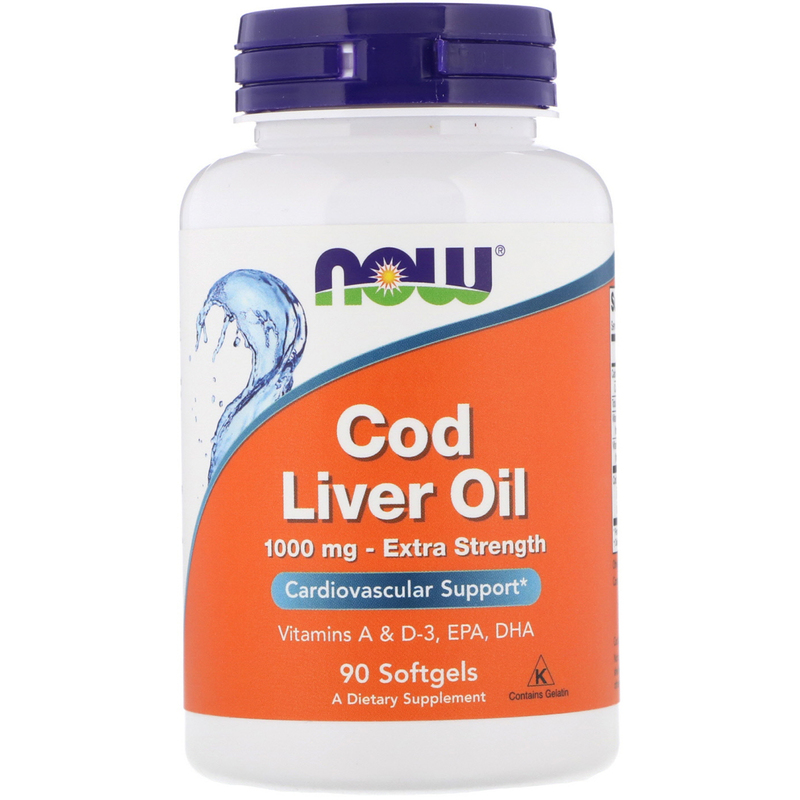 NOW Cod Liver Oil abounds in Omega-3 Fatty Acids, EPA (Eicosapentaenoic Acid) and DHA (Docosahexaenoic Acid). It is also an excellent source of Vitamins A and D-3. Cod Liver Oil has a long history of traditional use for the support of overall health and well-being. 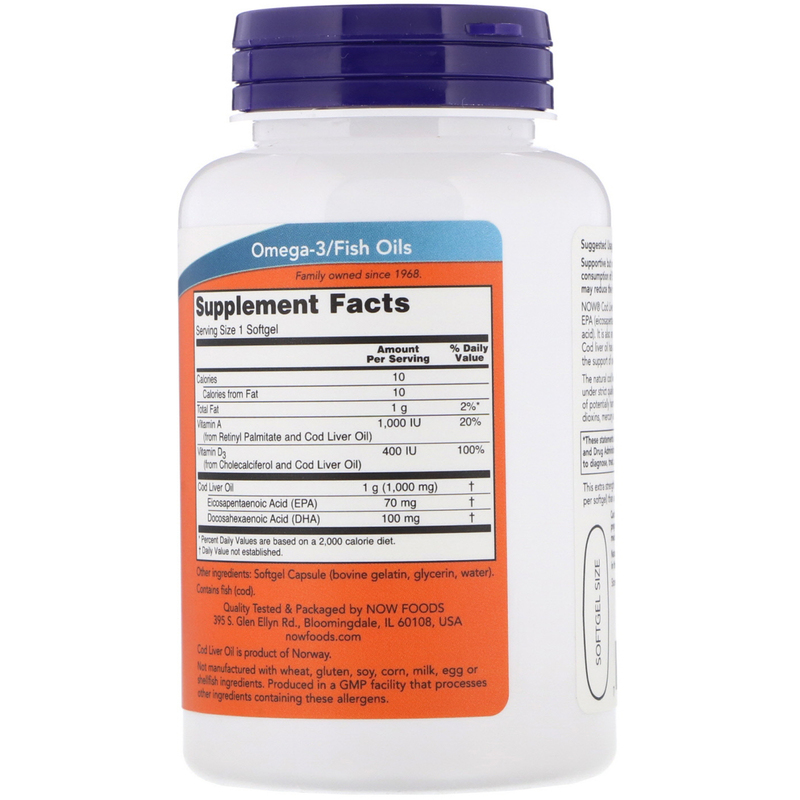 The natural Cod Liver Oil used in this softgel is manufactured under strict quality control standards. It is tested to be free of potentially harmful levels of contaminants PCBs, dioxins, and mercury and other heavy metals. Natural color variation may occur from this product.